I have come to this passage again because the Global Giant of Abortion is massive and overwhelming at times, and once in awhile discouragement begins to settle in my soul. Sometimes, or rather continually, I feel very small compared to the Giant of global abortion. During these days of feeling so insignificant the Lord through His grace brings me to His word for strength, hope and focus. So, please allow me to share this rather long blog as I venture into this wonderful place of believing God loves small things. 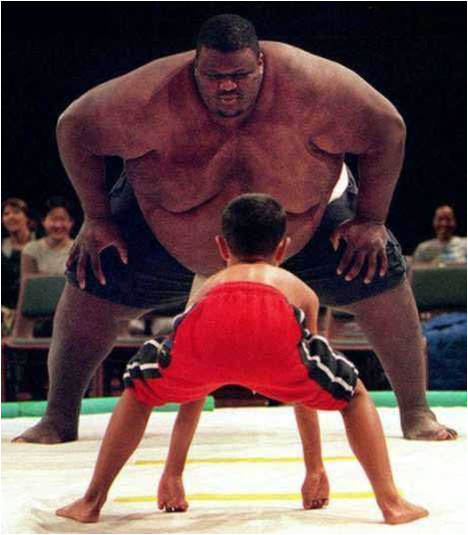 I begin this entry by revisiting this heart felt, hope filled story of David and Goliath. The Philistine armies gathered for battle on one mountain, and the Israelite armies gathered for battle on an opposite mountain with only a valley between them. David enters the scene. David was the youngest of eight brothers, sons of Jesse. The three oldest brothers followed Saul into battle against the Philistines. Jesse sent David into the Israel camp to bring food for his brothers and their Captain and to gather information on how they are doing. David just walked away and continued his questioning. Wow! This caught Saul offguard and he quickly responded by saying, “You can’t do this, you’re only a boy.” (17:33) In other words, you’re too small! No one believed in David. He stood alone. Saul gave in and released David saying, “Go, and the Lord be with you.” Saul tried to put his armor on David but it was too big and awkward so David took it off, picked up his sling, stopped by the steam and picked up five small smooth stones and ran towards Goliath. David proceeded to do just that. He charged, not a calculated crawl, but rather a run with wreckless abandon toward Goliath, focused, very confident, not missing a stride, not hesitating, sprinting toward his target. He took out one small stone, just one. He slung that stone with accuracy and might striking Goliath in his weakest spot, his head! Killing him on the spot. He pulled out Goliaths sword and cut off his head. As all of Israel watched and stood in amazement, it was not until David held the head of Goliath up and the Philistine armies started to run that the armies of Israel gained confidence, turned from their fear and pursued the Philistines with a shout plundering their camp and destroying their army. Don’t you love it when we win? Victory feels so good! No one likes to lose. And, when we win it usually impacts more people other than ourselves. In this situation David transformed a paralyzed Israeli army into a victorious fighting machine! Many of us, and I dare say all of our friends in other countries are in a similar situation today. We are facing a Giant in the land. For some of you, the Giant gets bigger every day. It seems we cannot win. Finances are so hard to obtain. Leadership is equally difficult to find. Most people do not understand the vision or need. Very few come alongside you to join the fight. It seems that the church itself is silent and unwilling to help. There are very few people who will actually stand with you against the giant in your country. You feel very alone and overwhelmed. It’s time to respond as David did because we serve the same God that David served. How did David do this? David held a different perspective than everyone else. They saw a Giant, he saw opportunity. David’s convictions were different. Goliath had no covenant with God, he did! David had different motives. 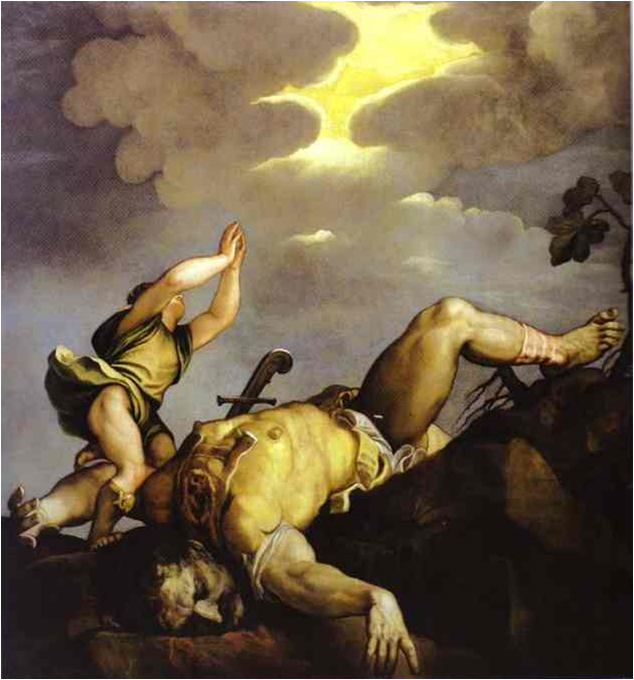 The threats of Goliath were shallow compared to the promises of David’s God. David’s vision was different. He desired above all else that Yahweh would be known to the whole world. David’s held a different attitude. He saw Goliath not as a big threat but rather a Giant target that couldn’t be missed. My message to you today is this, “Do not lose heart because of this Giant called abortion. You are not alone! You may feel very small and insignificant compared to this Goliath. Remember, God loves small things. David was small. His pouch filled with five smooth stones was very small. The one stone he chose was a laughing matter to the giant. In his smallness he charged forward in a giant way never looking back, changing the landscape of smallness verses bigness forever. When we do, the armies of God will take notice and they will regain their strength and run in victory and righteousness all over the earth! Note: Sections of this blog adapted from content found in the NIV Leadership Bible and the John Maxwell Leadership Bible.